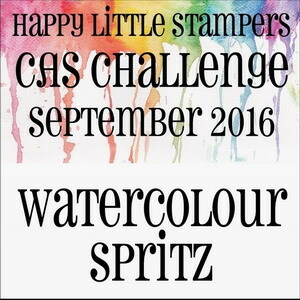 As always, Happy Little Stampers are sponsoring the challenge, so there is a prize up for grabs! I will post the pictures first and then explain the technique I used after the picture (there are also some useful videos linked on the HLS blog to show you how). This is the card. This was actually a one layer card. 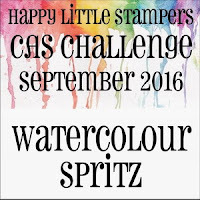 I took my Penny Black 'Bejewelled' stamp and coloured it with water based markers and then spritzed it a few times with clean water and then just stamped it down on to the card front - the more you spritz with water, the more you spritz, the more the detail is softened and can look like an impressionist painting - you can't really get this technique 'wrong'. I left the stamp on the card for a few seconds to allow the ink to absorb into the card-stock. I then stamped my sentiment from a Stampin' Up set, called 'Blooms &Wishes'. 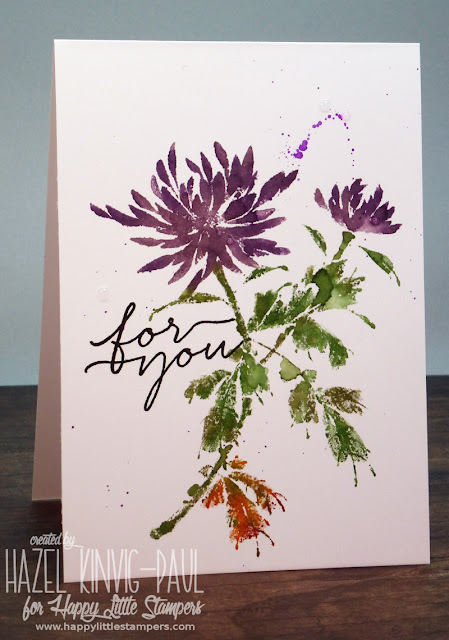 I finished off the card with a few flicks of ink on a paintbrush and a few drops of 'Crystal Effects' by Stampin' Up. 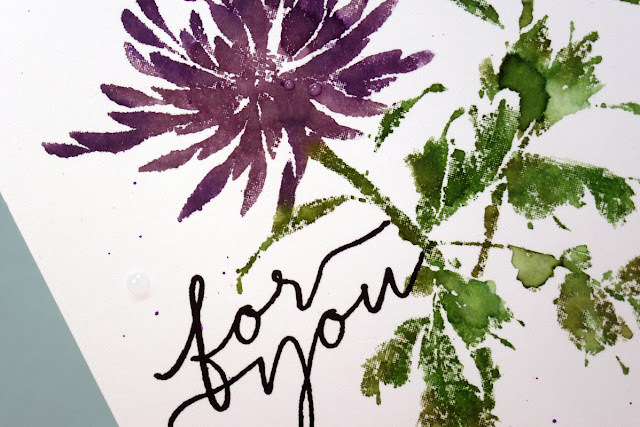 That's it, a very quick and simple card that you can make in a hurry. Why not join us and have some fun with it . . . it's very addictive! Very Interesting technique to achieve artistic look ! I loved the quick card a lot ! Beautiful, Hazel. 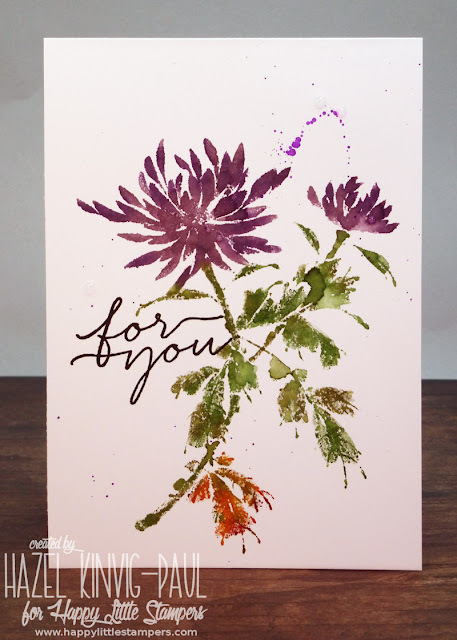 I love the colours and the splatters... and that sentiment is just perfect. 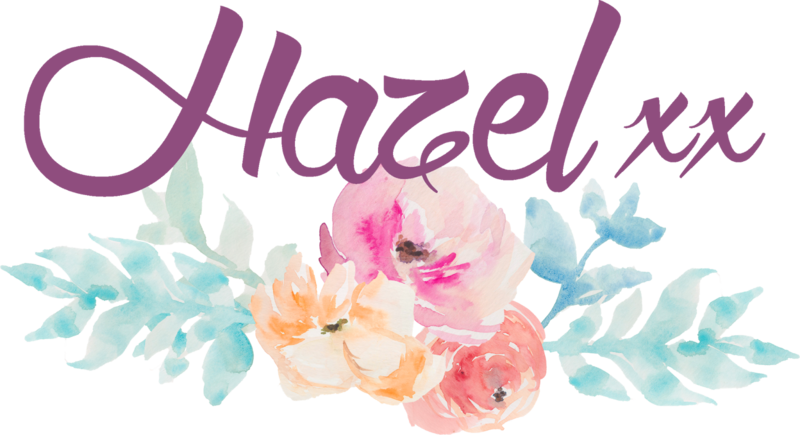 So beautiful Hazel...love those fabulous colors! your card is one of the most beautiful I've ever seen done in this technique. It looks as if it was made of living plants embossed Big Shot. I love your card. Oh, this is master piece, Hazel! 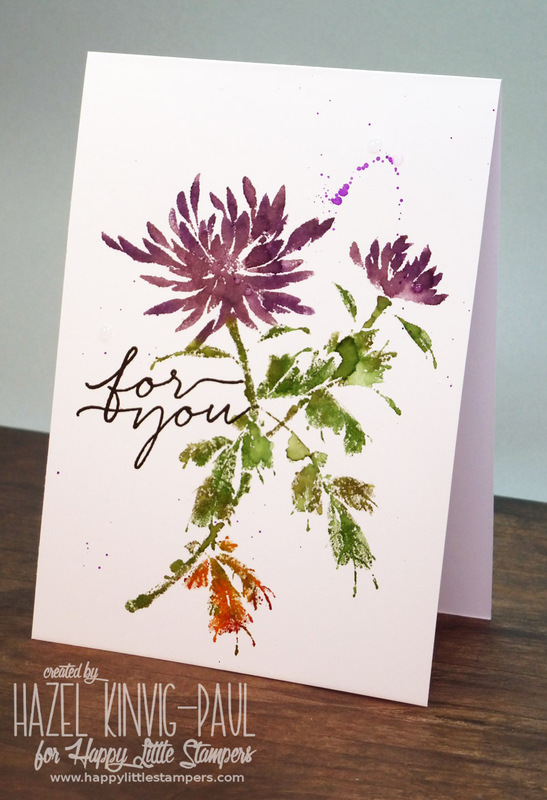 The flower looks hand painted and that water colored feel... Love your card. So artistic, Hazel! 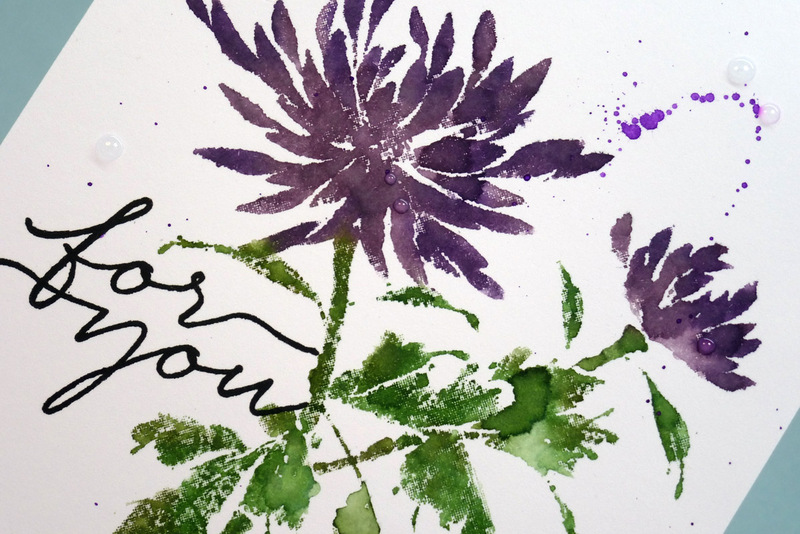 Your flower is gorgeous! I'm just getting back into blogging and wanted to come over to say hello, hope you're doing well. Love this look. The perfect image for it. Back . . . But Not Crafting Yet!